Today is Meta’s birthday. There is no way to transmit the level of gratitude I owe this sweet, little pup who has been by my side these past 11 years. She is a rare sort of life force: full of love, intelligence, and fun-loving vitality. From the moment she snuggled her way into my life, I knew she would have a wonderful influence on me. Her predecessor, Fiddle, came from Juneau’s Gastineau Humane Society. 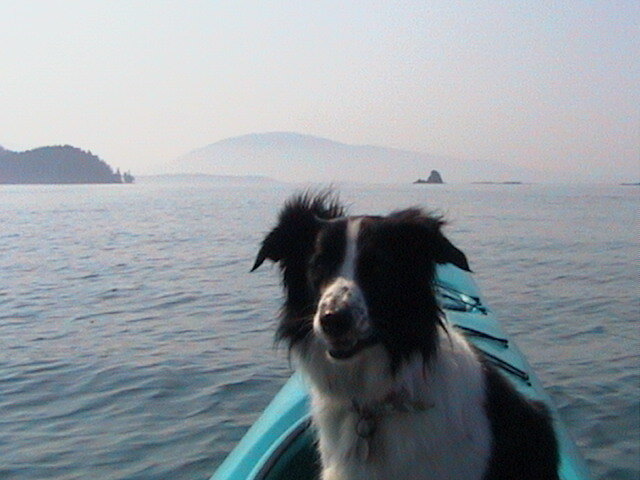 Fiddle was an outgoing, hyper-intelligent, hyperactive Border Collie who also went everywhere I went. Fiddle was also a Swiss-Army pup you could take anywhere. Fiddle was an amazingly bright + affectionate Border Collie. High strung, tireless + astoundingly resilient to her own quirk of not being able to regulate her energy level. Just like Meta, Fiddle never required a leash. She always kept a close perimeter around me + was super-responsive to the occasional request to “Stick around! Good girl!” However, Fiddle came to me as a 6 or 8-month old + was not without an unknown past that brought with it a few, random concerns. Primarily, Fiddle was consistently wary of anyone shorter than 5 feet or so. Somewhere along the line, Fiddle had had some negative experiences with short people, likely children. She was never dangerously aggressive towards them, but the possibility always loomed in my mind that she probably shouldn’t ever be left alone with or not closely attended whenever there were kids around. After Fiddle passed, I decided to wait + properly mourn her loss but I knew eventually I would want another pup. Decidedly another working breed. In many ways, Meta would turn out to be another version of Fiddle but improved on many levels. 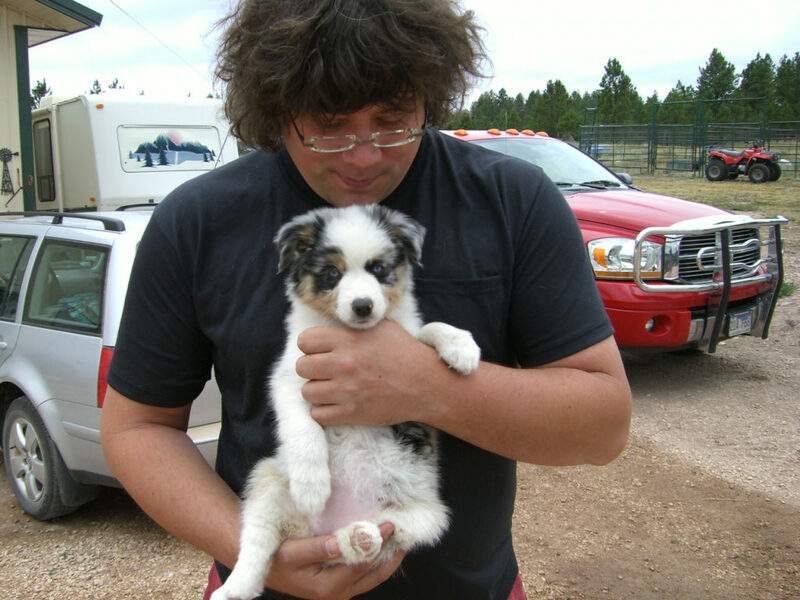 Meeting for the 1st time – Black Hills – 10 weeks old. A little more than a year after Fiddle passed away, I was ready to begin my search for a new pup. I decided I wanted to raise the next one all the way, right from a puppy, so I would know everything about their life + be more aware of + responsible for their quirks. In that process, I interviewed almost 40 breeders from the States + overseas before I happened upon a discrete, working ranch near the Black Hills of South Dakota (of all places) with a most intentional philosophy on breeding pups with amazing temperaments by applying astounding attention to the craft. Not only was I immediately impressed by their way but also with what they taught me about their part of the world. Over a few months of many conversations, I got to know these quiet + dedicated people + decided to commit to their process, which was as intentional + thoughtful as the way they raise their high-quality broods. There’s no way I could have known that my favorite part of that experience would be how hard they interviewed me. They wanted to be sure their pups were all going to good homes + preferred a long interview process to make sure rather than just show potential buyers their pups + their prices, which are formidable but so very well worth every penny. I was all in. I trust them so much that I let them pick the right pup for me. They couldn’t have done a better job. This little pup has been by my side all these wonderful years. I’m so grateful. 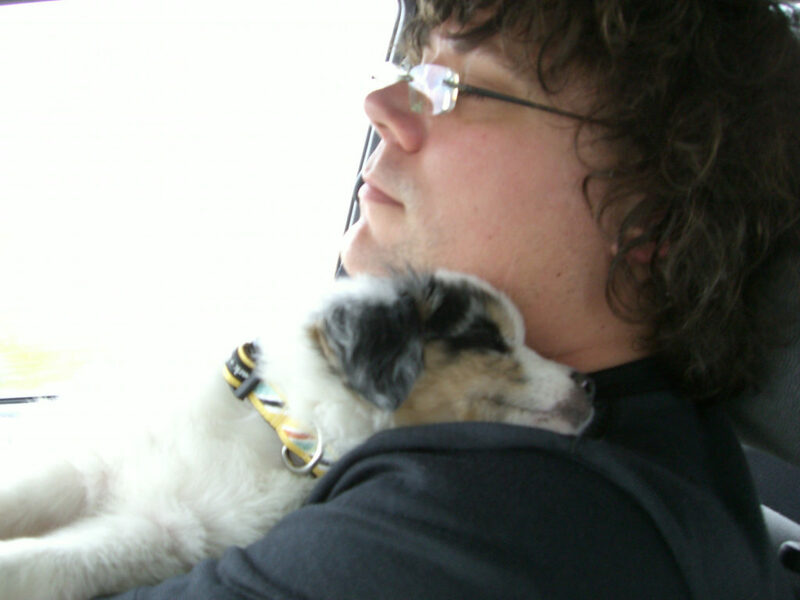 Snoozin’ together on the way home for the first time. The day I made the long journey to first meet 10-week-old Meta was one of the happiest in memory. Meta was a Swiss-Army pup right from the beginning, the sort of pup you can literally take anywhere + adds such a joyful presence to any experience. Even my friends who are cat-only people like this lil pup. She certainly has a way of getting deep into hearts fast. By far, Meta is the smartest + most affectionate pup I have ever met. Don’t try to spell the words W-A-L-K, S-T-R-O-L-L or T-R-E-A-T around her, though. She knows those words even when you spell them! I can’t take credit for teaching her that. Best part is she’s amazing with kids of all shapes and sizes, gifted in so many ways but mostly with the patience of a saint. 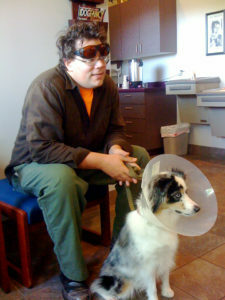 Meta + I at the vet. We’ve been through thick + thin together, this sweet lil pup + I. Now we live in a big, old house with 4 kids that just wouldn’t be complete without her. She is the one who greets us every morning, walks with us every evening, snuggles by us at every opportunity + is a consistent + positive influence on each one of us in ways we probably aren’t even aware of. Today, we are celebrating you, sweet pup. There’s no way we can repay you for all the joy + presence you bring to our lives each + every day. Thank you for being such an amazing member of our family. We love you! 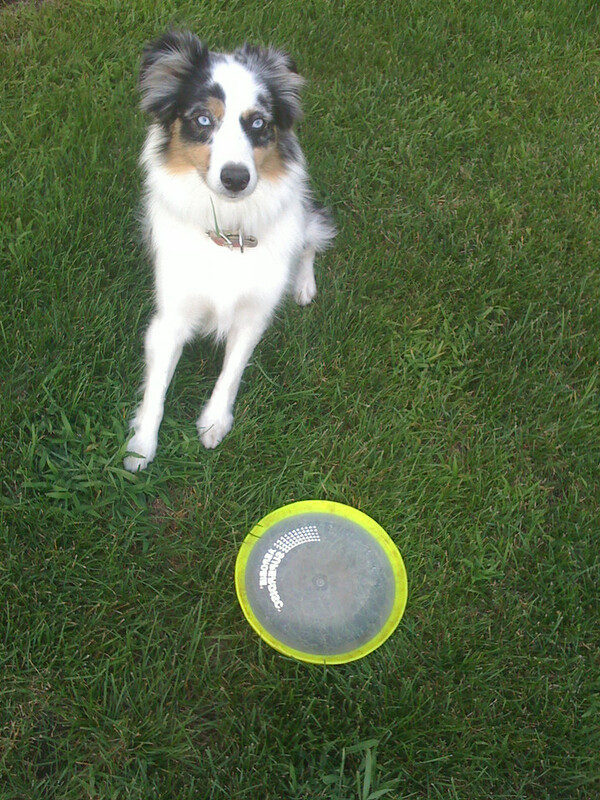 Meta brings her frisbee with her wherever she goes. We are so grateful for you, sweet pup. Thank you for being with us + adding so much joy to our lives. Happy Birthday, Meta —> we LOVE you! Previous Post KEEP THIS BROCHURE! Next Post Experience is the move.